Home / Heating & Cooling Articles / What Happened to My Air Conditioner During a Power Outage? My AC was running great, then the power flickered off and then back on during a storm. Now it is blowing warm air. What should I do? Before calling Urgent Air, shut off the system from the thermostat for 20-30 minutes. Then turn the system back on. Now, hopefully your unit will be working properly. What happened you ask? Most likely, the quick off and on motion of electricity feeding the AC unit has caused the compressor to short cycle, therefore quickly overheating the compressor electrically. Most of the time the system will be fine once the compressor has cooled. 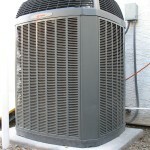 If your system does not restart after allowing to cool then make a call to Urgent Air. In some cases your unit may not come back on which often indicates that there are other underlying issues that have not yet exposed themselves. These types of issues are typically identified during a preventative maintenance inspection and usually avoid costly repairs. Preventative maintenance should be performed on a routine basis to ensure the longest life and least expense possible.